Koast Builders is a premier Custom Home Builder & Remodeler located on County Road 30-A, Florida. With 60 years of combined experience, Koast Builders continues to generate a reputation as a hands-on contractor providing individualized service for every client. 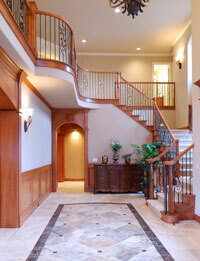 These general contractors personally manage each home building and remodeling project. Our company is able to take your project from start to finish. We excel in framing, interior trim, and carpentry and have an established a valued bond with our subcontractors who specialize in plumbing, tile, trim carpentry and all additional services your project requires. If you're interested in receiving a quote on your next project, please Contact Us for a free consultation. Call 850.231.0672 or click for Home Building & Remodeling. Koast Builders is located on County Road 30-A and provides Home Building & Remodeling services to Rosemary Beach, Alys Beach, Panama City Beach, Seaside, Draper Lake Coastal Village and build in the WaterColor, WaterSound, Wild Heron & RiverCamps developments.